The true sound of yesterday, 4 Vintage fender amps (Including Roger Waters bass amp). A real experience to try these vintage tones that money simply cant buy anymore, but thanks to the Kemper Profiling amp, they are now documented in digital form. and truly represent the original source! 115 Profiles of Classic Amps, from Sparkly Clean to full on MaxPower. Every one of these profiles had TLC added to it, right from the getgo, each profile is simply ready to pick up and play! – Very Dynamic content & interesting to hear how the different cabs sound. Comes with a smile, and no air guitar needed! The “how we did it” Bits…..
or even a laid back approach, what guitar works better, and if we need to use any additional tools to help us get there..
Each Amp set has various “stages” of profiles, from clean+variations, breakup+variations all the way through to max gain. 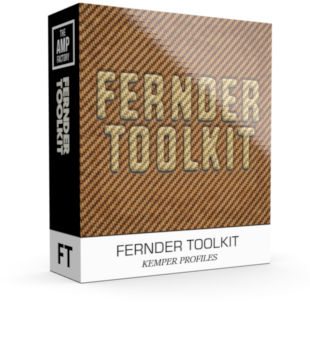 – this gives you total control over the amps voicing characteristics, and lets you “correctly” choose the right amount of gain for your guitar, rather than artificially adding it afterthefact.. – assuming we got it correct, then the rest is pure ear candy! Blues/Country, Classic Rock/Rock, Jazz (modern), Funk/Soul/Clean. For all enquiries, please use the form to send an email.